Its Fun Color Friday, and I decided to do a fun color – orange. 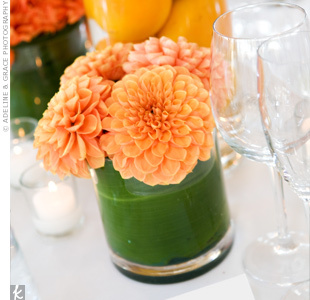 Using orange in your wedding colors will brighten your whole day. 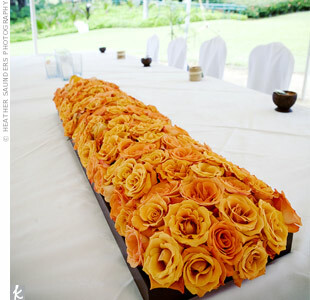 No matter your style, you can add some orange to your wedding day. What do you think? 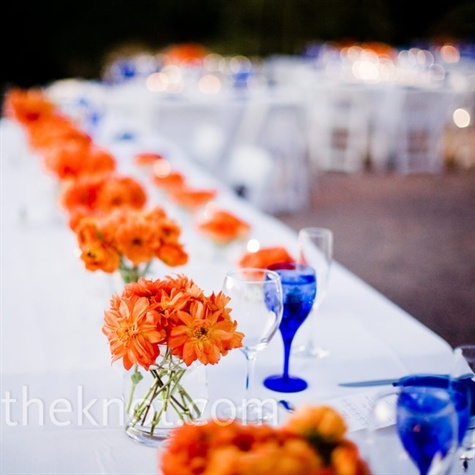 Are you adding orange your wedding day? 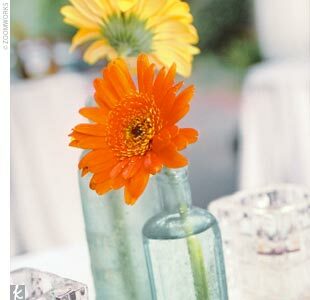 What is your favorite orange centerpiece? And the winner is … honeysuckle! The Pantone color of 2011 is honeysuckle and I Love it! 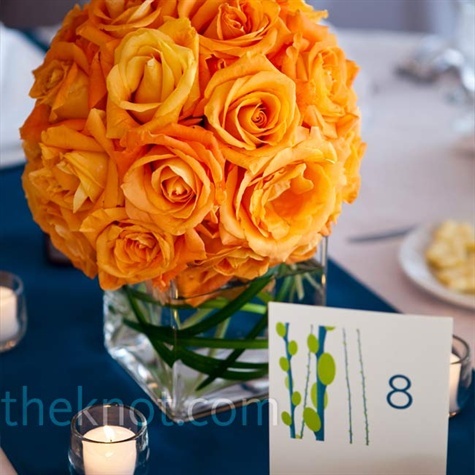 It is a fun and fresh color that would make any wedding pop. The best part is you should be able to find fabulous shoes! As I am helping with weddings, I am noticing that green is really big right now. I do not think that any particular green is being used, just that many brides are using it some way in their wedding. 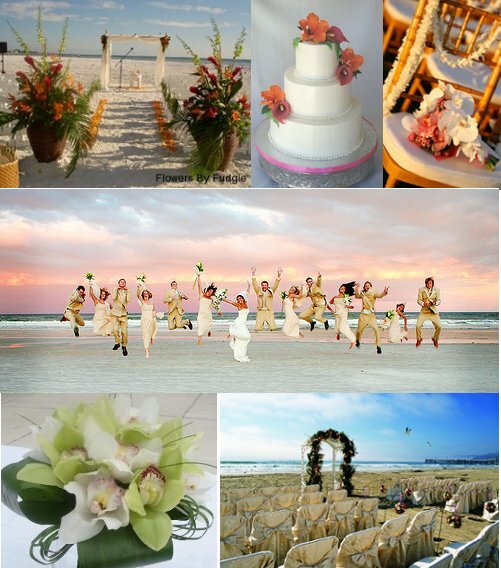 Some weddings are all green and others use it as an accent color. 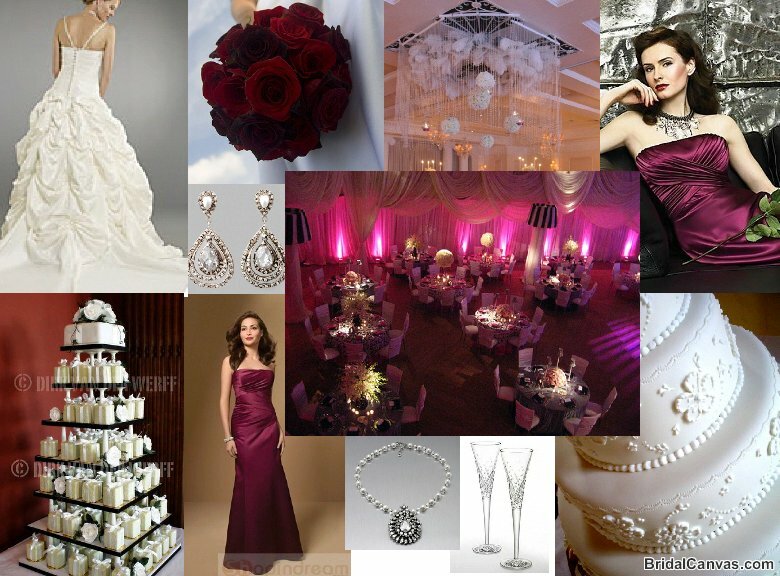 I think that it is great color that you can pair with many others to create the look you are after. Below is a color board with different shades of green. Green has so many different shades and can go with any style. 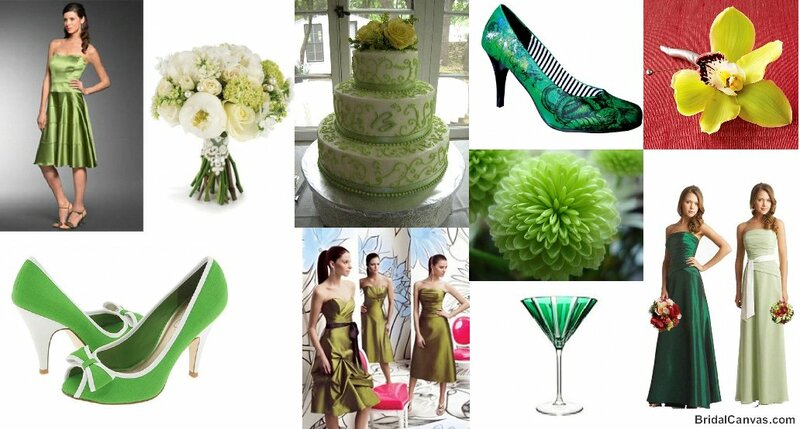 Think about pairing your favorite color with a shade of green to create an amazing wedding.